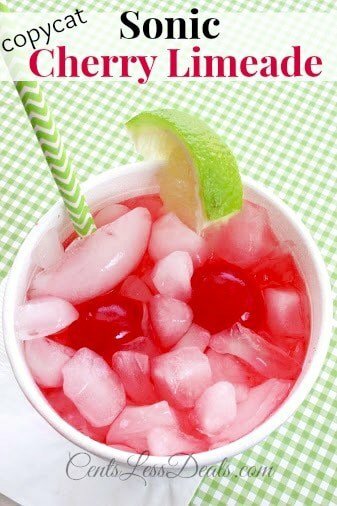 To me, Sonic Cherry Limeade tastes just like summer!! It reminds me of 90 degrees, swimming in the lake, and just relaxing and having fun!! This Copycat Sonic Cherry Limeade recipe is easier to make than you would think! 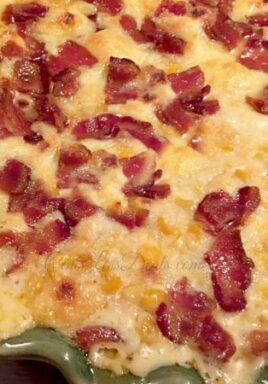 Be sure to pin this recipe, you’re going to love it! A quick home version of one of our favorite take out drinks. « Previous PostHomemade Butterfinger Eggs with only 3 ingredients!! Next Post » Slam Dunk Reese’s Brownie Bottom Ice Cream Cake Recipe!